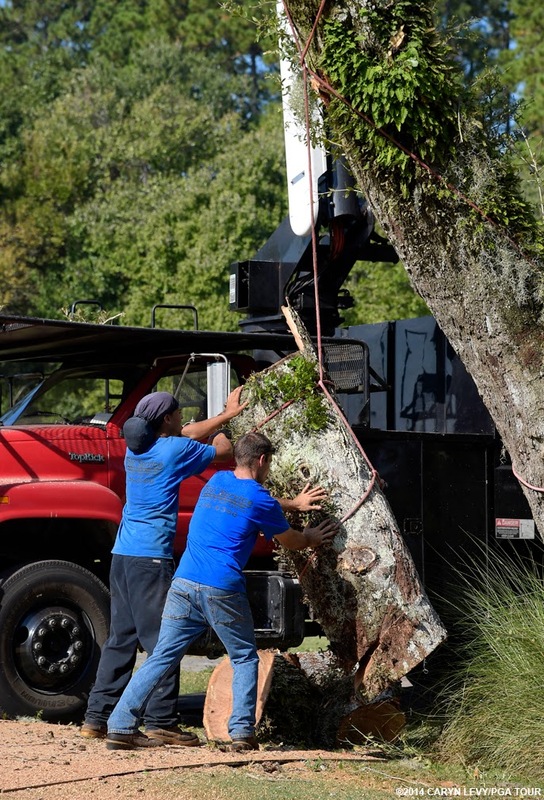 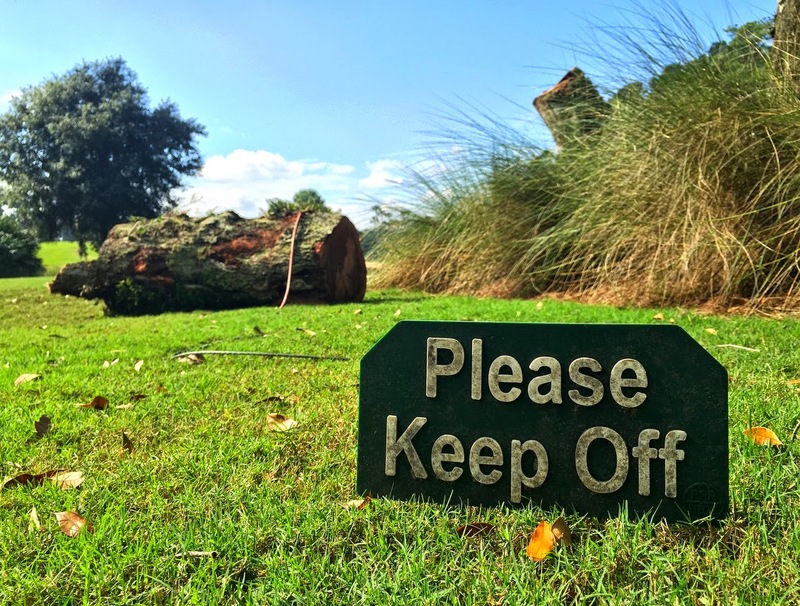 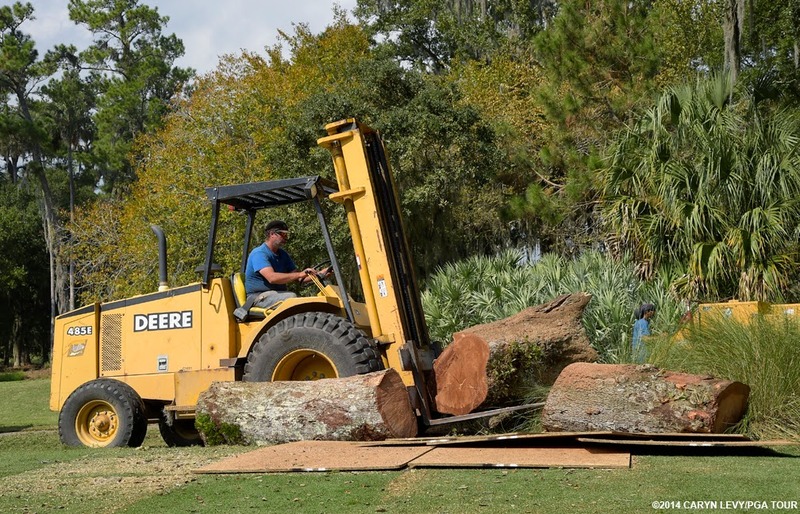 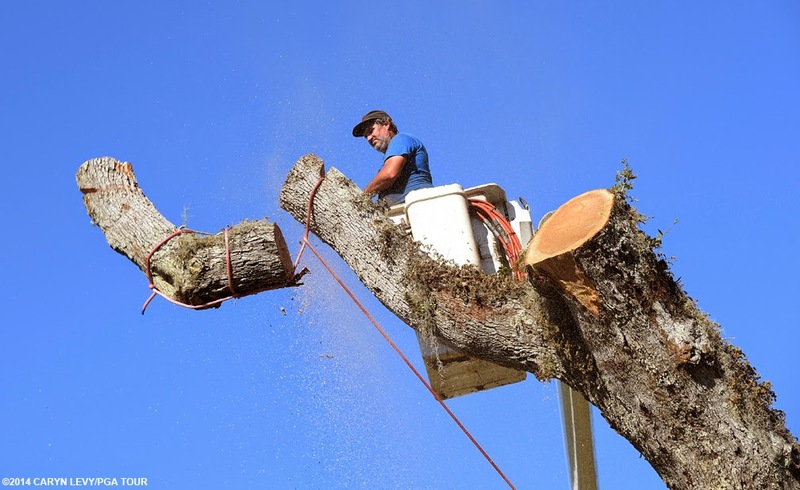 This morning they cut down the iconic tree on the 6th hole of the Stadium Course after it succumbed to age & disease. 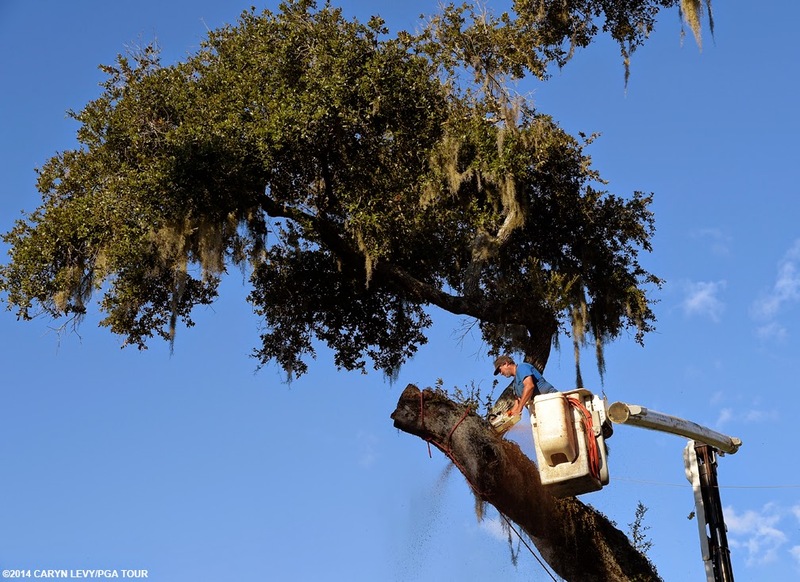 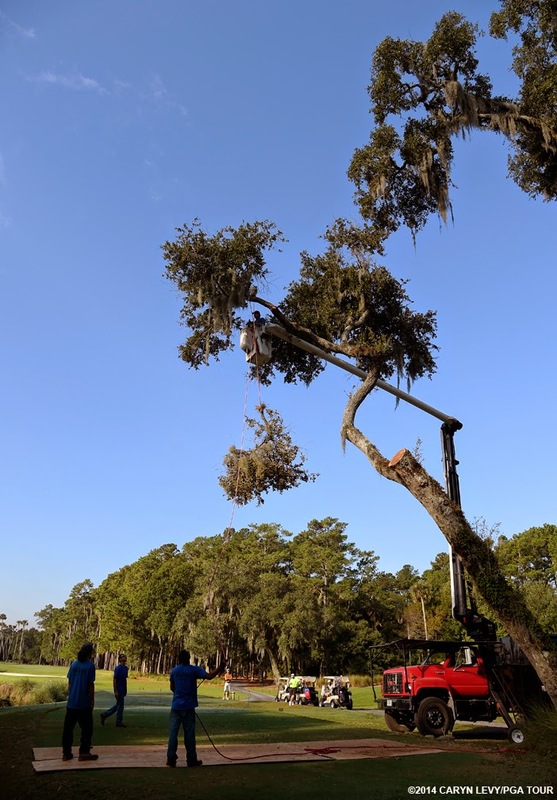 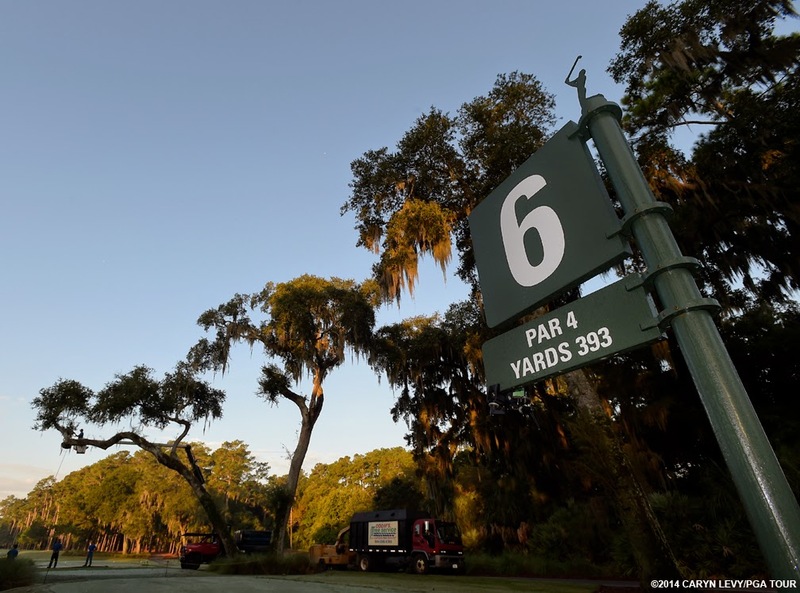 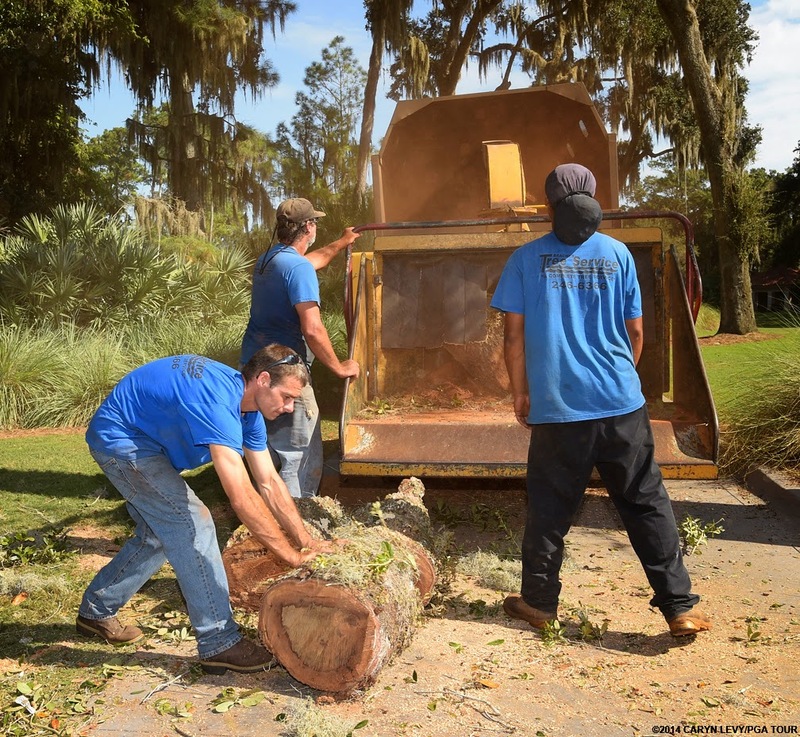 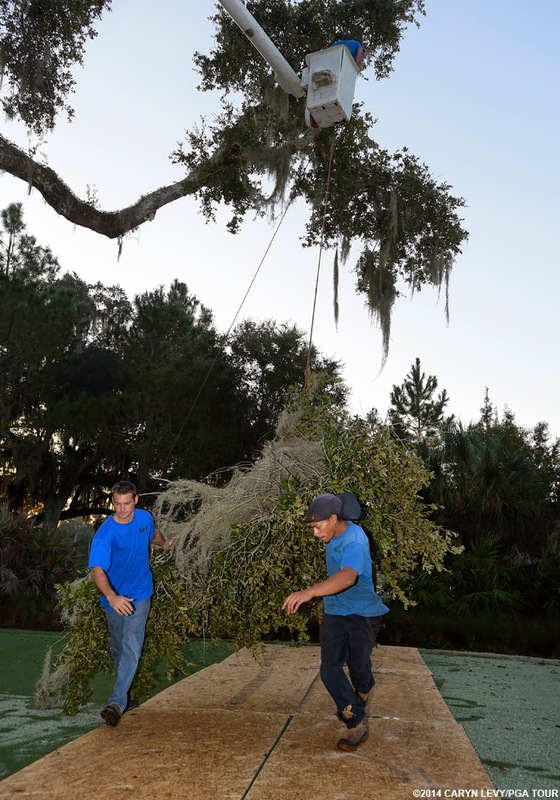 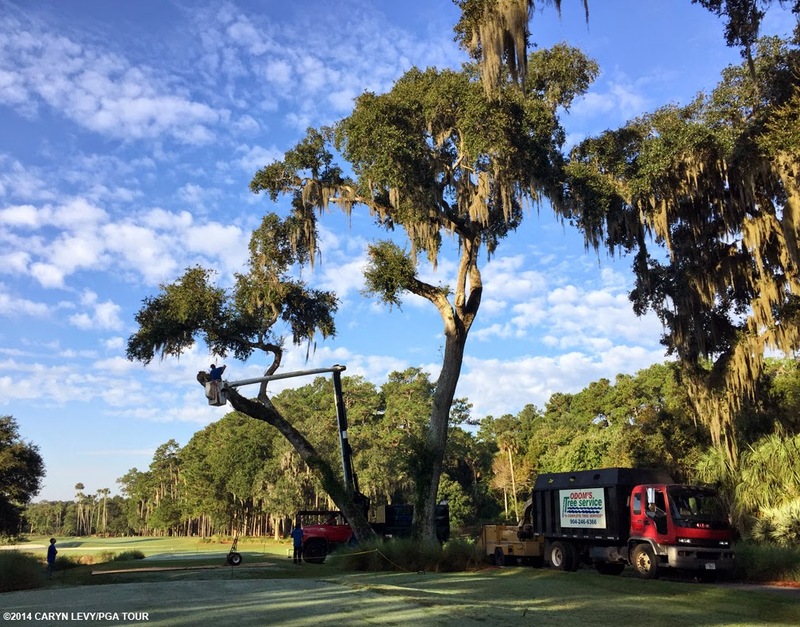 This tree notoriously affected tee shots since TPC Sawgrass opened. 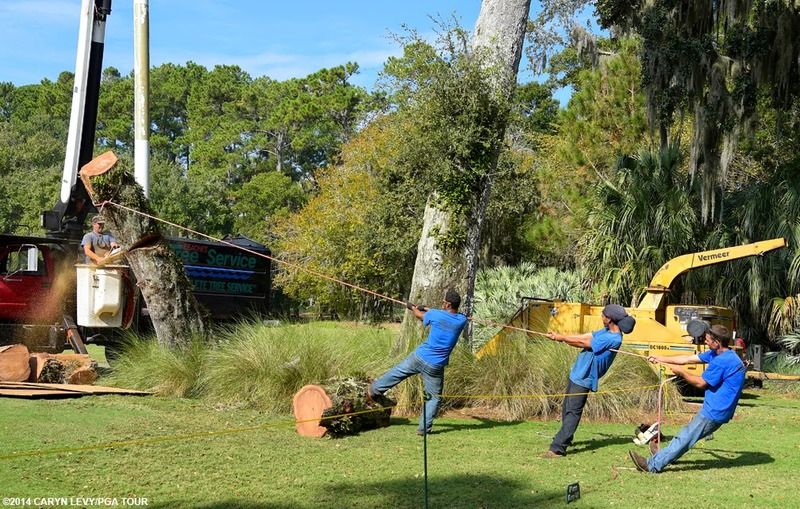 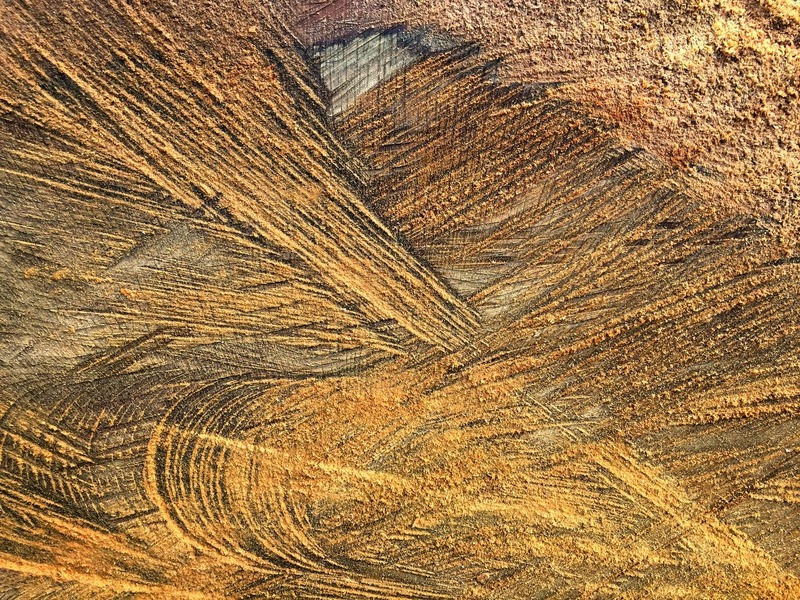 It was really interesting to watch them work but I was completely covered in sawdust by the end of the day.